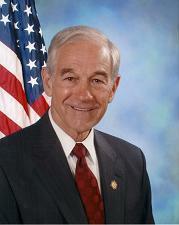 Ron Paul Quotes.com: DEPARTMENT OF HOMELAND SECURITY – WHO NEEDS IT? Mr. Speaker, the Department of Homeland Security, who needs it? Mr. Speaker, everyone agrees the 9-11 tragedy confirmed a problem that exists in our domestic security and dramatized our vulnerability to outside attacks. Most agree that the existing bureaucracy was inept. The CIA, the FBI, the INS, and Customs failed to protect us. It was not a lack of information that caused this failure; they had plenty. But they failed to analyze, communicate, and use the information to our advantage. A clear understanding of private property and an owners responsibility to protect it has been seriously undermined. This was especially true for the airline industry. The benefit of gun ownership and second amendment protections were prohibited. The government was given the responsibility for airline safety through FAA rules and regulations, and it failed miserably.